be taught. Let me repeat that. No matter what the official line of the companies who write these tests, each test can be broken down into common problem types and then studied for methodically. So don’t be disillusioned by a low starting score. There is a wealth of companies and individuals out there that can familiarize you with the tools necessary to conquer these formulaic exams. That’s not to say that hiring a tutor is necessary for everyone. Many people do just fine by purchasing a few books and practice tests and working on their own. But if you need a decent-sized bump in your score after taking the diagnostic, participating in a class or hiring a tutor may be just the thing to ensure you’ll get the score you need for the school of your dreams. Here’s how to decide whether or not to go the tutored route, and if so, how to make the most of it. 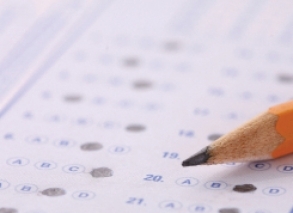 LSAT, GMAT, and GRE, sample tests are available online. Take the test of choice in a setting comparable to that of the real exam. This means finding a quiet place and having a reliable timer sitting on our desk. Taking the diagnostic test in your beds and having to stop every five minutes to answer the phone will not give you a reliable score to judge if you need tutoring, and if so, what type will be most effective. The next step is to look at your diagnostic score and decide which programs are realistically in your range. Your college career office may provide statistics, but if you’ve fallen out of touch, you can check these lists of LSAT and GMAT average scores by school, register for free access to Business Week MBA program statistics, or pay for access to U.S. News & World Report data. Using this information, you should compile an assessment of programs that you could expect to get into (keep in mind that with studying or tutoring, your scores should rise from our diagnostic test). At this stage, it's important to be honest with yourself. If you’re scoring a 140 on the LSAT and hoping to get into a school whose average LSAT score is 170, pick another school. On the flip side, if your diagnostic LSAT score is 160, with a lot of work and dedication, you can reach your target. One thing to keep in mind: test scores aren’t the whole package—when analyzing which schools are within reach, be sure to factor in all of your other relevant stats such as GPA, academic experience, and, in the case of an MBA program, work experience. Even if you are only within a few points of the promised-land, you shouldn’t just sign up for the test and take it the next week. You need to be sure that you can consistently achieve your target score. If you’re comfortable with the go-it-alone approach, the first step is to take practice test...after practice test...after practice test. Books of practice tests (the ones published by the companies who write the tests are the best) are available for the LSAT, GMAT, and GRE. After you’ve hit your target score on three successive tests, then you should consider taking the real thing. However, if you aren’t the type of person to spend time taking practice tests instead of going out with friends or staying in and playing video games, or after taking the tests you aren’t achieving our target score, you should hire a tutor. The dirty little secret? Everyone does it. So, a tutor it is. The next decision to make is whether you want to pony up for that special private tutor or go for the cheaper classroom structure. If you're naturally good test taker and scoring within a few points of your targets—say 5 for the LSAT or 50 for the GMAT and for both sections of the GRE—a class may be all that you need. The classes offered by companies like Kaplan, Test Masters, Princeton Review, and Manhattan GMAT all give a solid overview of the material along with a few helpful tips and techniques for specific question types. (Full disclosure: Manhattan GMAT is the publisher of our book, but we were only willing to enter into a relationship with them because we think they provide best-in-class test prep services.) You'll also wet your feet with some practice tests. The different class programs are all very similar, with approximately sixty hours worth of class broken into fifteen sessions of four hours a piece. They cost between $1,250 and $1,399, with the Princeton Review at the high end and TestMasters at the bottom. In terms of class size, both Princeton Review and Kaplan cap their class size (at 27 and 30 respectively). Test Master’s class size depends on the location. If classes are being held in a large hotel ballroom you may be sitting with 60 other people scratching and tapping away. All companies provide access to a large number of practice tests, but Kaplan seems to put more of an emphasis on that aspect of tutoring. All in all, don’t expect any miracles from these classes. They have to be taught to the lowest common denominator and are in no way personalized to your specific learning styles. All three of the above companies also offer private tutoring, as do reputable companies like Advantage Testing. And if you struggled through the SAT or are more than five points below our LSAT or fifty points below our GMAT or GRE targets, we should seriously think about bunking down with a private tutor and banging out as much work as we can. Private tutors are generally better than classes because a good tutor can tailor a lesson plan to the learning needs of his or her student. Princeton Review breaks their tutors down by experience, costing between $125 to $350 per hour. They recommend at least twenty-four hours of tutoring for the LSAT, which comes out to between $3,000 and $8,400. Both Kaplan and TestMasters charge by the hour. Depending on the number of hours you’re looking at, courses will cost between $130 and $150 per hour for both companies (the prices get lower for Kaplan the more hours you tutor with them). Given that the tutors cost the same, you should always request someone with at least five to seven years of teaching experience and don’t accept anything less. Private tutoring does end up costing a lot of money, but given that the starting salary for a lawyer at a big firm is $180,000 a year, and potentially even more than that for an MBA grad, it may very well be worth the few extra grand to bump up your test score. Also note that the tutoring companies above are not even close to the only games in town. They just happen to be the largest national chains with pretty good reputations for success. You should also search around in your area for local companies, many of which may be just as good and may offer even better prices. The key to whatever program you choose, whether private or classroom-based, is practice. Any tutor will tell you that half of any student’s improvement comes from the practice tests (provided by the tutor or found in the books mentioned above), so you should try to take as many as you possibly can before going in for the real thing. Go above and beyond. Don’t just settle for the four or five tests offered. Get your hands on ten, twenty, or however many you can stomach and take them in as real a test-taking situation as possible. The more questions you see, the better you’ll do. It’s that simple. But don’t be fooled. Just because you nailed a 169 or a 740 on one section once, doesn’t mean you’ll do it on the big day. What you need is consistency. Whatever our most consistent score is will likely be the score you get, like it or not. Just make sure to be prepared and to not stress out too much. Don’t take any test that you don’t feel completely comfortable with. Remember, the LSAT score sent with your applications is an average of all of the LSATs you’ve taken, and both GMAT and GRE scores last for years. So don’t take the tests on a whim. Be as sure as you can be that you will get what you want before going in there. And if you know you bombed, just cancel immediately and try again.